Ever since Hyundai Motorsport confirmed Juho Hanninen as their test and development driver there were all sorts of comments and opinions regarding this decision. Most people think Hyundai made the right choice, but some question whether Mr. Hanninen is the right kind of pilot for the new and reportedly very ambitious team. Well, the fact is, Juho is one of the most experienced drivers currently looking for a job, even though number of WRC events he ran in proper WRC car is very low. However, he ran planty of events in S2000 machines, while also claiming the IRC and ERC crowns in recent years. Sounds like a pretty accomplished driver to me, even though he is not without faults – one of the most spectacular ones was the crash and landing on the roof of one of the houses in 2012 San Remo rally. Another thing seems to be missed or ignored by many critics – Hyundai signed Juho as a test driver, at least for now. As in, test and develop, not run for points. Of course, this can change, but I do not see any issue with Juho being one of the best test drivers out there. Even more so given the fact that he plans to continue competing in M-Sport run Fiesta RS WRC this year. 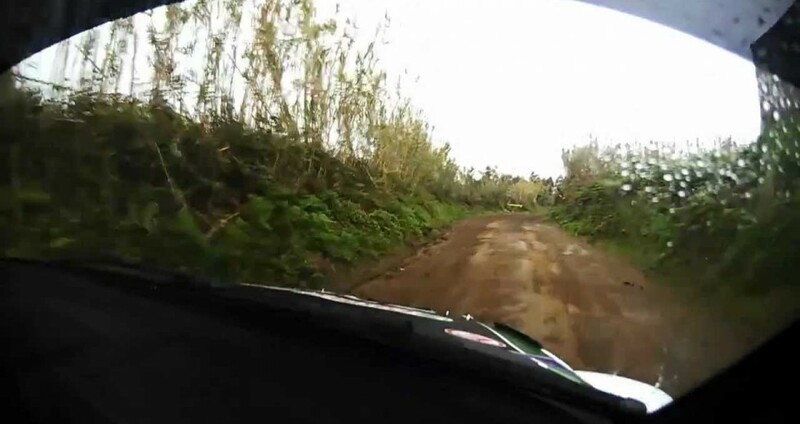 As a little proof that Mr. Hanninen can in fact drive a rally car, and fast, here’s one onboard video from day 2 of 2012 SATA Rallye Açores. Enjoy!